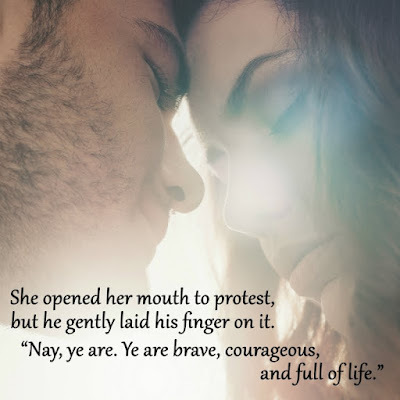 Happily Ever After Thoughts: ONE OF A KIND CHRISTMAS by Lexi Post - Available for Preorder and a $25 gift card Giveaway! ONE OF A KIND CHRISTMAS by Lexi Post - Available for Preorder and a $25 gift card Giveaway! About One of a Kind Christmas: For her to love him, he must face a spirit, an angel…and himself. The spirit of Cameron Douglas has totally screwed-up…again. Now, he has to fix his mess in one night with the help of his best friend and somehow encourage his widow to move on. Holly Douglas is anguished that this is the last Christmas she’ll be visited by her late husband, Cameron. For three years he’s sent her the spirits of Christmas Past, Present, and Future, and they‘ve helped her cope with her loss. But now all that ends, and she doesn’t understand why he must push her away. Ethan Stewart has been in love with Holly since Cameron’s death, but she isolated herself from everyone, including him. Then something changed, and he was welcomed back as her friend. But he wants more— to love her openly, and most of all to make her happy again. Though he loved his best friend like a brother and will do anything for Holly, as he’s pulled into the spirit world, he discovers not all is as it seems. If he doesn’t figure it out soon, none of them will have a Merry Christmas…ever. She placed her hand on his cheek and rising on her toes brushed her lips across his in a feather-light kiss. She only meant to give comfort, but a spark of something else hit her heart. She remained there, her lips close to his but not touching, wanting more but afraid to ask. Ethan remained absolutely still, his breath mixing with her own. He loved her but would never push her. It wasn’t his nature. She could walk away right now, but to what? Ethan’s lips opened, and she slipped her tongue between them. As his arms came around her, it was like waking from a dream. A slow burn flowed through her veins as he took control of the kiss and explored her mouth with his tongue. It was an unhurried exploration and heat built in her belly. 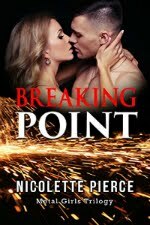 When he pulled back to lick the underside of her top lip, she took her first deep breath. As she exhaled, tingles spread throughout her body. A Christmas Carol Book 1, Pleasures of Christmas Past is on sale for only $.99! Jessica is assigned a hot, Scottish mentor who confuses her heart. But will he protect her soul? Desires of Christmas Present (A Christmas Carol Book 2) Sometimes not knowing is better…for everyone. Lexi Post is a New York Times and USA Today best-selling author of romance inspired by the classics. She spent years in higher education taking and teaching courses about the classical literature she loved. From Edgar Allan Poe's short story “The Masque of the Red Death” to Tolstoy’s War and Peace, she's read, studied, and taught wonderful classics. 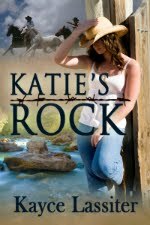 But Lexi's first love is romance novels so she married her two first loves, romance and the classics. From hot paranormals to sizzling cowboys to hunks from out of this world, Lexi provides a sensuous experience with a “whole lotta story.” Lexi is living her own happily ever after with her husband and her cat in Florida. She makes her own ice cream every weekend, loves bright colors, and you will never see her without a hat. Oh wow, that sounds yummy! I enjoyed the excerpt. Our favorite tradition is making cornflake wreaths together with the grandkids. Oh, that sounds like such fun! I bake cookie & bread boxes for family & friends for Christmas .. I bake cookie & bread boxes for family & friends ..
My boyfriend and I decided years ago to make Christmas Eve date night. We play board games or a video game and no friends or family allowed. I got engaged on Christmas, and my favorite tradition is adding a white dove to our tree at midnight on Christmas morning for each loved one who has passed away to have them with us during the holiday. Me and my two kids love to bake cookies and watch hallmark channel Christmas movies😊😀Happy Holidays. Hi, Lexi from Ginger Connatser (colby69@verizon.net). I love to bake Christmas cookies. Oh, I love to eat them! We're a perfect match! One of my favorite Christmas traditions was eating the cookies my mom made. As I got older I started to participate in the baking process instead of just eating lol. Now that I'm a mom it's even more fun albeit messy (but worth it). A new tradition I started with my kids is reading The Night Before Christmas on Christmas Eve, while wearing Christmas pajamas. My personal tradition is watching Hallmark Christmas movies! Going to my paternal Grandfather's on Christmas Eve. All the aunts and uncles, cousins, spouses, children, boyfriends and girlfriends were there, as well as next door neighbours and in-laws' entire families, and ex's. There were over a 100 people in a tiny house and at midnight Santa brought presents for everyone! Wow, what an amazing memory! Decorating, baking cookies with nieces and filling stockings. That is definitely the fun stuff of Christmas! SNATCHING DIANNA by Seelie Kay and Giveaways!